To add or remove scopes for an app you will need to reauthorise the app by revoking access to it and then authorising it again. 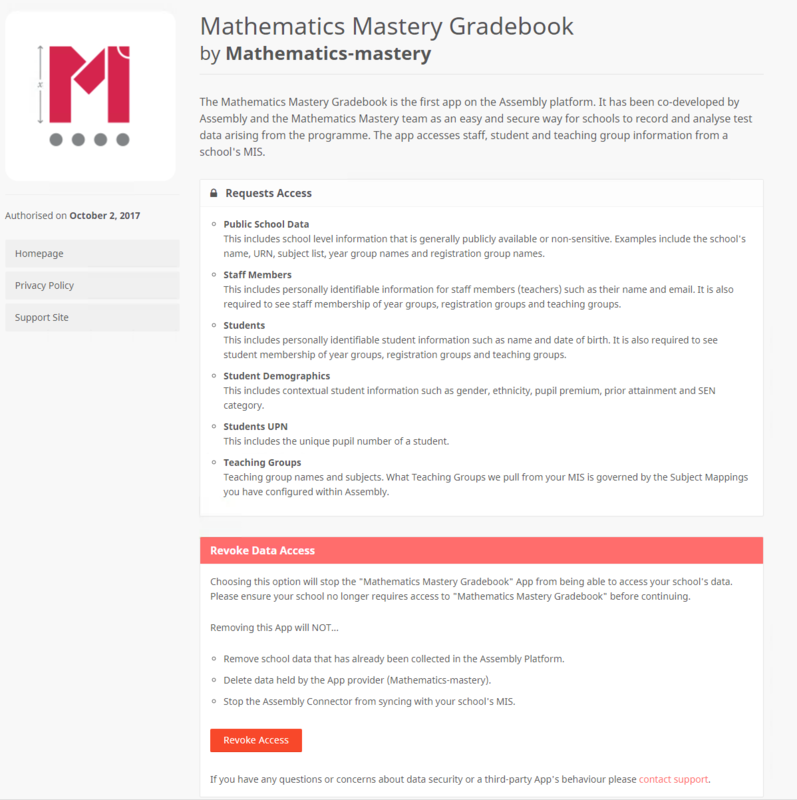 Sign in to the Platform and navigate to the Apps section, then locate and click on the App that you need to reauthorise (for example, the Mathematics Mastery Gradebook App). Once you have revoked access you will return to the Apps section and you should see an Authorise Access button instead of a Revoke Access button, confirming that you have revoked access to the App. You will then be returned to the Apps page where the installed message will no longer appear under the App. 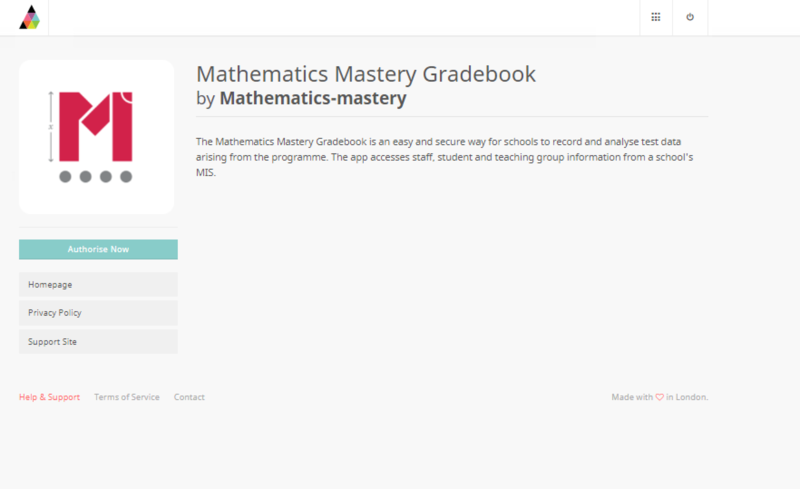 Locate the same app that you need to reauthorise on the Apps page and click on it and click on Authorise Now. 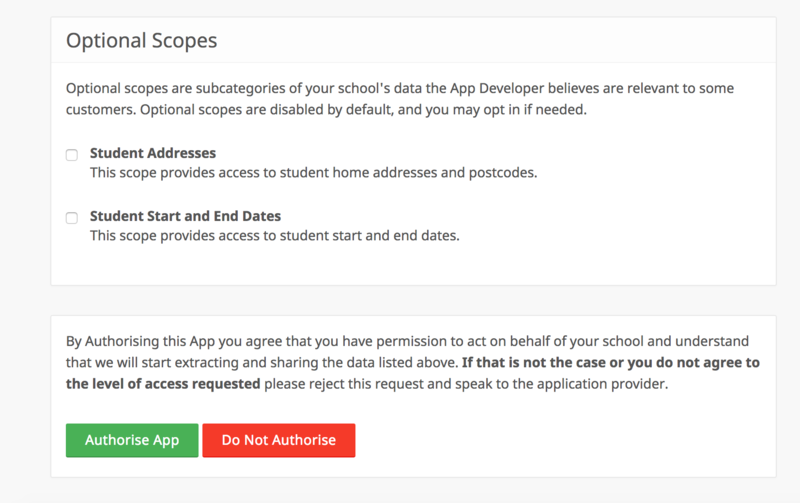 At this point you will need to verify that the app can access the designated scopes of your school’s data through a Data Access Request. 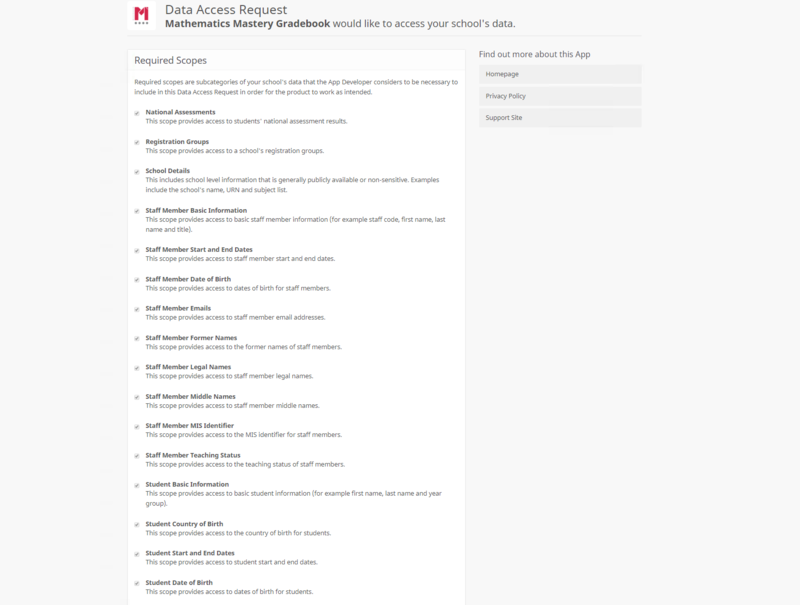 You should only click Authorise App if you have authority to do so. Please check the scopes that you are authorising.